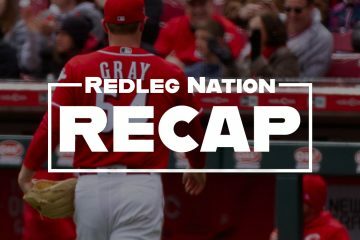 After the Scooter Gennett show last night that saw him drive in all four runs and seal the win with a diving play, the Reds (66-88) look to build on that success in the second game of the series against the Marlins (59-93). First pitch will be at 7:10 ET. Luis Castillo has had the textbook definition of a roller coaster season. Every time it looks like he’s turning the page with a good start or two, he self-destructs and pitches horribly. Let’s hope he continues on the success he’s had in his last two starts, especially since he’s pitching against his former organization. Against the Chicago Cubs and the Los Angeles Dodgers, he pitched 13 innings and gave up two runs and eight hits while striking out 11. More importantly, he surrendered only one home run in those 13 innings. This season, Castillo’s major problem and the main reason he’s been on this roller coaster ride has been home runs. He’s given up 28 home runs in 161.1 innings, and his 1.56 HR/9 is the highest of his short career. Castillo missed the Marlins in the series at GABP back in May, but he’s faced two Marlins batters in his career. Derek Dietrich is 0-for-3 against him and Miguel Rojas is 1-for-3. Wei-Yin Chen’s best years were with the Baltimore Orioles in 2012-2015, with a career ERA of 3.72 and a FIP of 4.14. However, the last couple of years with the Marlins have not gone so well for the 33-year-old, as he’s had an ERA close to 5.00 in both 2016 and 2018. (He was on the disabled list for almost all of 2017). In his last start, Chen gave up five runs on seven hits, including two home runs, in only four innings. He struck out four and walked two. Chen’s had a couple of recent good outings, like his Aug. 25 start against Toronto when he went 8 innings, and the next start against Atlanta when he struck out 10. But for the most part, 2018 has not gone very well for him. Chen is primarily a fastball pitcher, but throws a slider as well and occasionally mixes in a curve ball and a change up. His average pitch speed for his four seam fastball is 91.1 mph, two points lower than the MLB average. Although the Reds are in the middle of a ten-game stretch without an off day, the bullpen shouldn’t be in terrible shape. The Reds haven’t used any one pitcher too often over the last few days. The blowout loss to the Brewers Wednesday helped because it enabled Jim Riggleman to not use his top relievers. The Marlins were off on Wednesday and used only three pitchers in yesterday’s game. Most, if not all, of their relievers will be available for tonight’s game. You can find the Marlins lineup here. Jose Peraza, Eugenio Suarez, and Joey Votto all have hits off Chen in very small sample sizes. -Good read from C. Trent of The Athletic about Cody Reed. -Pensacola terminated their contract with the Reds. The Blue Wahoos ownership wants to pursue other teams, and they want the major league team to be more involved. You are right, Matt, the Reds are winning again. We are in an era of #Positive Momentum. This team needs to go 7-1 over the last 8 games to avoid 90 losses, and by golly, Gutty Jimmy Riggleman is going to bring it home for the fans of the Ol’ Redlegs. Other non-playoff teams in late September experiment with lineups….not with the Reds. All business. Scott Schebler and his .352 OBP and wRC+ of 124 vs. LHP this season? His .354 OBP and 130 wRC+ overall in the leadoff spot this season? When it’s time to get serious….it’s time for Havoc in the leadoff spot. And, don’t act all shocked when Havoc drops down a bunt towards 3rd vs. a LHP. Why can’t Jimmy Fundamentals play Gabriel Guerrero in CF? He’s right handed. Billy will go 0-4 or 0-5 batting right handed. Or maybe he will lay down a bunt or something. Jimmy Fundamentals is thinking ahead! Why, so guerrero can continue his one for forever career, dude is only up because he is out of minor league control. Dudes swing is visibly garbage. Billy’s D is better, Guerrero will be lucky even to be in baseball at all next year. Peraza a late scratch. Herrera batting 2nd. Trahan at SS. If Castillo “self destructs and pitches horribly” what do the other pitchers do ? Robert Steohenson? Iglesias is the best Reds pitcher again. He leads all Reds pitchers in innings pitched and Wins and K’s and WAR. He also leads in poise and competitiveness . Maybe it’s time to question the abilities of the ownership group…FO… Pitching development staff …and pitching coaches and pitching scouts . Luis Castillo is the best young pitcher since Johnny Cueto. He was developed by another organization. Iglesias and Chapman dont count. They don’t lace it up every 5 th day 30x a year against all comers. Castillo the best Reds pitcher again. Is that Lou Pinella sitting row 3 behind home plate in a Pete jersey? Just kiddin, but does look like unshaven portly Sweet Lou! Billy Hamilton came into the game batting .212/.266 in the leadoff position. He’s made two outs tonight, including one with a runner in scoring position. Sure am glad our old-school manager is giving the most ABs to one of our worst hitters. Price did too. The only reason BC fired Price was historically awful 3-18. He had too . Riggle- Price…..interim Jim…..all the same thing .it’s Castellini . Time for much bigger action directed against BC and WJ and Marty and the Reds leadership. They aren’t changing until they are forced to change. Money and humiliation do that . An institutional Civil War is needed. A reds revolt needs to happen. Billy Hamilton batting leadoff now…..is an insult to Reds fans. These arrogant stubborn old men will only change if they are forced to change. Is RLN willing to demand change? If Hamilton comes back for 2019, making $8M or $9M, then I think you will have widespread support for a collective RLN. Williams mentioning budget regarding “outside” pitching and the above just don’t work. He isn’t stealing bases as before, the batting is no better, and like tonight, Hamilton has “misjudged” more liners this season than ever before. He isn’t aging well. Time to move on from him, if the Reds really are serious about improving. There’s nothing festive about 4 years of last place and 90 losses. Embarrass BOB.Cancel your season tickets . Demand major changes- including the immediate removal of Walt Jocketty and Riggleman and Buddy Bell. And the Brennamens. Riggleman stated that the position players are set. Hamilton will be a Red and leading off for many seasons to come. Yep but its hard to break old habits.I guess one could argue that maybe just maybe 5 years is just too long for a really bad habit to last.Does anybody think its an accident that his current obp of 297 is right at his career average of 298.Talk about the back of the card telling the story. Hamilton plays for the Reds, an organization that has no interest in winning baseball. Not sure there is another team in MLB that would even consider batting Hamilton lead off. The Reds have done it for 5 seasons and expect different results it appears. I happen to like both of the brennamens, really lets see what the off season will bring. Maybe they are maximizing his appearances for teams to trade for him. I also fail how to see how a radio announcer is responsible for a teams performance. I see dilson turmed into a real world beater tonight. Who wants anyone fired based on emotions? Riggleman? He shouldn’t be fired, he just shouldn’t be given the job. Marty? No one has suggested firing him, but he needs to retire because the game has evolved and he hasn’t. Thom? He only has a job because of his father and is horrible. He should be fired because of his performance. When people are changing the channel or muting the TV to not hear him, it is not based on emotions. Giving him the job because his father’s reputation is more emotions based than firing him. That is one of the funniest comments in a Game Thread all season. And, that’s saying something around this place. Castillo = cool as a cucumber, just dealt straight fire. Awesome. Just tuned in to see Castillo’s great performance but again the offense is awful now for the 9th game in a row. I’ll go way out on a limb and proclaim that this is probably the only Reds game of the year to be scoreless after nine innings. 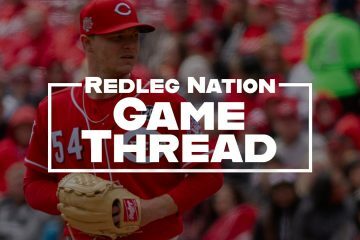 Tom – any access to stats on the last Reds pitcher to go that deep and not get a decision?? Can’t imagine that happens very often. Castillo was dealing, and efficient – deserved a W.
Another 1-0 loss which makes the 4th time in the last 10 games we have been shut out.In those 10 games we have scored 15 runs.Winker is the only regular that hasn’t been available so yes this lineup is good enough to compete next year.